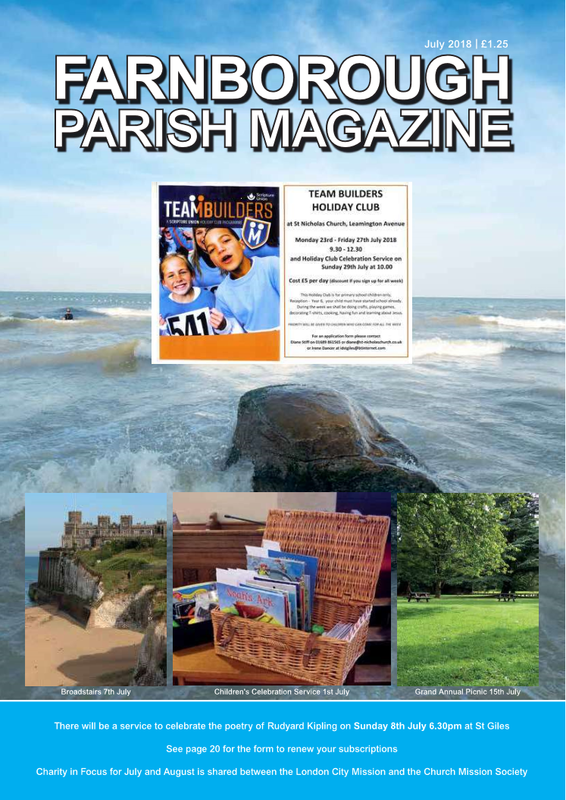 Farnborough Parish Magazine is published monthly, and is thought to have been in continuous production since 1899, see Magazine History. We are always seeking to increase the number of people who subscribe to the magazine, so please do introduce the magazine to neighbours and friends. If you would like to do this then additional copies can be obtained by calling John Richardson, contact details below. The magazines will be dropped round to you with a label reading ‘complimentary copy’ on the front cover. The magazine was relaunched in November 2012. This introduced a totally new presentation with some full colour pages, and an increase in size to A4. Reproduced here is the cover from a recent edition. Feedback is always welcomed by the Rector and the Editor. We are always happy to receive articles from members of our community, along with pictures, so do contribute if you can. 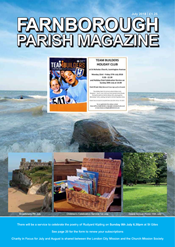 In April each year we ask our readers to kindly consider re-subscribing to the parish magazine. We hope that you enjoy reading it over the year and we also hope that you will continue taking it in future. The magazine is published monthly at £1.25 per issue – or £12 for annual subscription. Please pay for annual subscriptions by the end of June. Many people in renewing their subscriptions pay over and above the standard fee and for this we are most grateful. The Editor and PCC accept no responsibility for the services offered by advertisers. The deadline for submission of articles is the 6th of the previous month (eg. articles for the March edition to be received by the editor by the 6th of February).